FRAMED PRINT. 22x18 inch (56x46cm) Framed Print with Black Satin with Off-White Digital Mat. Artwork depicting PARANORMAL/APPARITIONS. 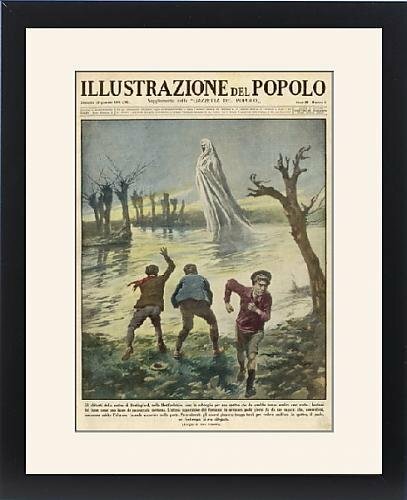 Apparition seen over a river at Buntingford, Hertfordshire, by several witnesses including these three boys. Professionally made to order in the USA. Artwork Description... Apparition seen over a river at Buntingford, Hertfordshire, by several witnesses including these three boys.